The bishops of Missouri are supporting suggested action items to handle the clergy abuse scandal, adding that they hope to provide some direction for the U.S. bishops at their fall meeting this week. The Missouri bishops’ letter and statement were released Nov. 12 after Cardinal Daniel DiNardo, president of the United States Conference of Catholic Bishops, announced that the Vatican requested the U.S. bishops postpone a vote on action items addressing the clergy sexual abuse during their General Assembly Nov. 12-14 in Baltimore. Cardinal Daniel DiNardo, president of the U.S. Conference of Catholic Bishops, and Bishop Timothy L. Doherty of Lafayette, Ind., chairman of the U.S. bishops' Committee for the Protection of Children and Young People, fielded questions Nov. 12 during a press conference at the bishops' general assembly in Baltimore. 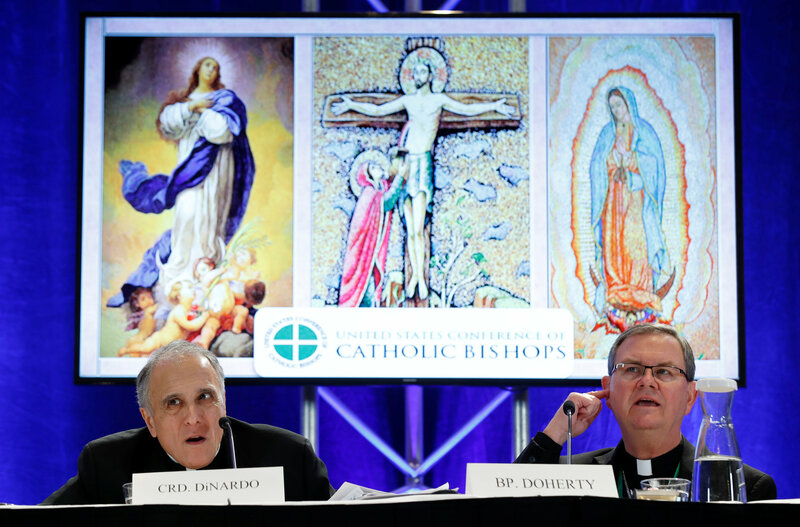 Cardinal DiNardo told the bishops at their fall meeting that that Vatican has asked them to delay making any decisions until February, when Pope Francis plans to hold a summit of presidents of bishops’ conferences around the world to discuss the abuse crisis and child protection. The Missouri bishops offered their support for the action items recommended by the U.S. bishops’ conference, but they added that “we fear these measures will not be enough in either substance or timeliness to meet the demands that this pastoral crisis presents.” Recommendations have included the establishment of a third-party hotline for complaints of sexual abuse by a bishop; development of policies to impose restrictions on bishops who have been removed or resigned for allegations of sexual abuse of a minor or sexual misconduct with an adults; and support of a full investigation into the Archbishop Theodore McCarrick scandal. The letter was signed by Archbishop Robert J. Carlson, Auxiliary Bishop Mark S. Rivituso of St. Louis, Bishop James V. Johnston of Kansas City-St. Joseph, Bishop W. Shawn McKnight of Jefferson City, and Bishop Edward M. Rice of Springfield-Cape Girardeau. Bishop Rivituso is a member of the U.S. bishops’ Committee for the Protection of Children and Young People.